69in x 69in. This pattern is a great way to use up scraps. 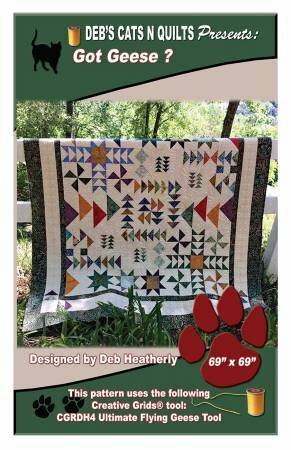 It uses the CGRDH4 Ultimate Flying Geese Tool which makes 8 different sizes of flying geese blocks.